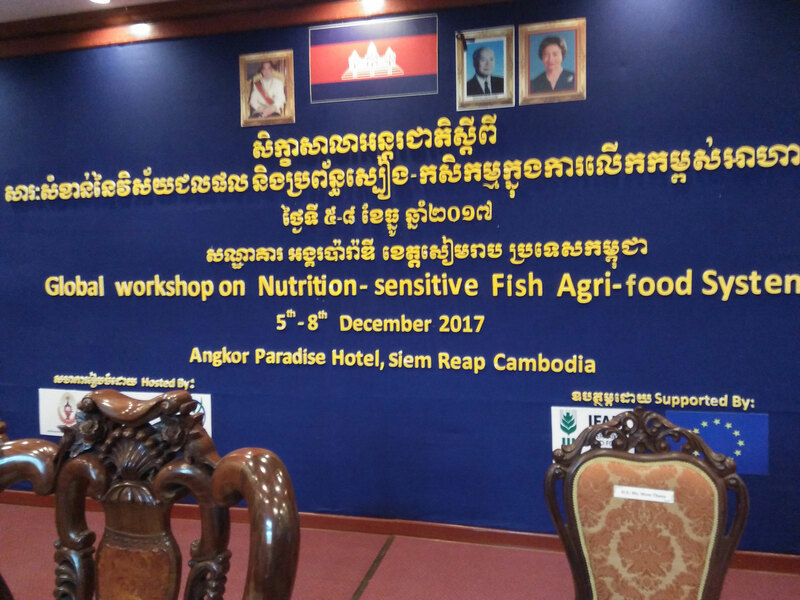 The four days global workshop: Nutrition-sensitive fish agri-food systems, ended with commitment to enabling environment for new research on fish for nourishment held from 5-8 December 2017 in Siem Reap Cambodia. 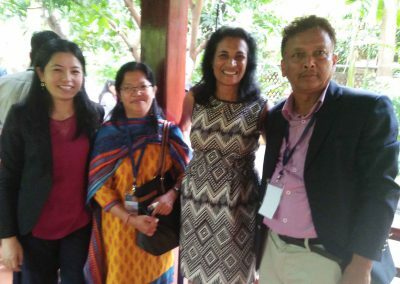 Two participants from Nepal were invited in this workshop; Mr. Khop Narayan Shrestha, Executive Director from MDI Nepal and Prof. Dr. Sunila Rai from Agriculture and Forestry University (AFU), Rampur, Chitwan. 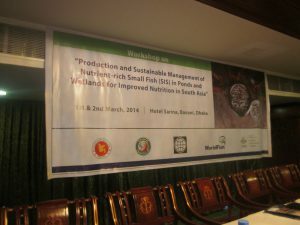 The main purpose of this workshop was to heighten the understanding of nutrition-sensitive fish agri-food systems approaches, develop action plans for implementation, identify methods for monitoring and evaluation, and advocate and influence global and country strategies. The event was opened by H.E. Dr. Yim Chhay Ly, Deputy Prime Minister and Chairman of Council for Agricultural and Rural Development (CARD), Royal Government of Cambodia The event saw 150 participants from 20 countries discussing a need to shift from fish production approaches to fish agri-food systems that are more geared to nutrition-sensitive outcomes. 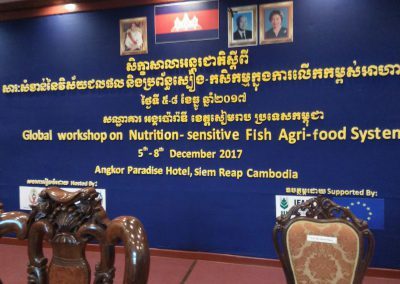 Participants at the workshop, including representatives of governments, UN organizations, NGOs and research institutes reflected that fish agri-food systems were not as well researched as other areas of agriculture making informed decisions on how to invest difficult. 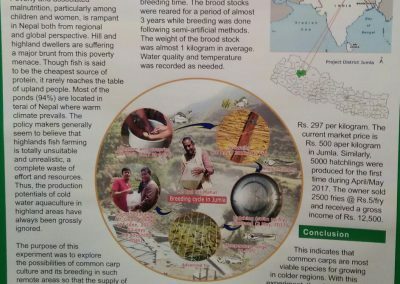 On behalf of MDI Nepal, Mr. Shrestha presented the successful case on breeding of common carp (Cyprinus carpio) in 2500 m altitude of Jumla through the rigorous efforts of 3 years (2014-2017). 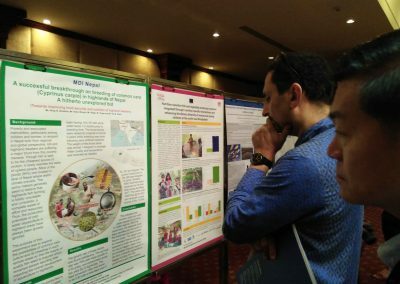 Participants in the workshop were found very much interested to see this innovation and expected to contribute fish in nutrition sensitive agri-food system for the highland dwellers of Nepal. 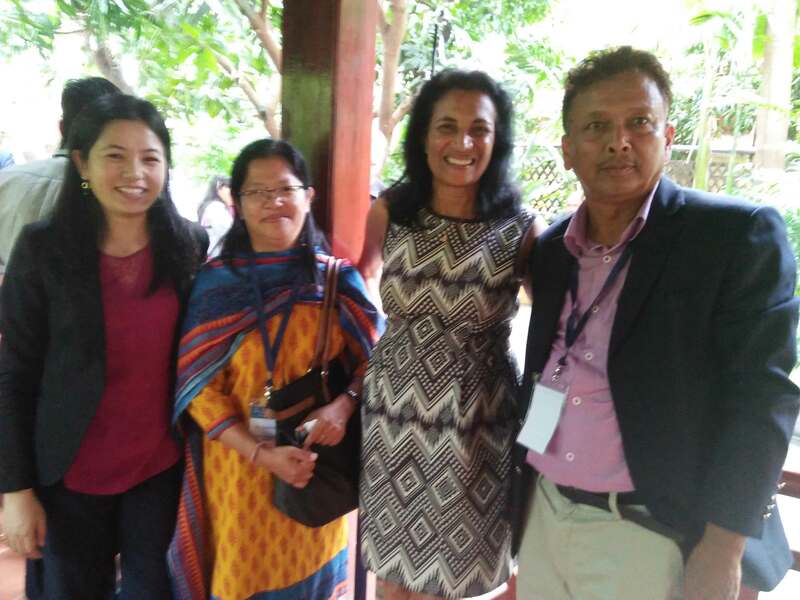 Mr. Shrestha in his brief presentation remarked that ‘This is the tiny battle we have won; A large battle is yet to be fought for its wider application in the highland of Nepal’. 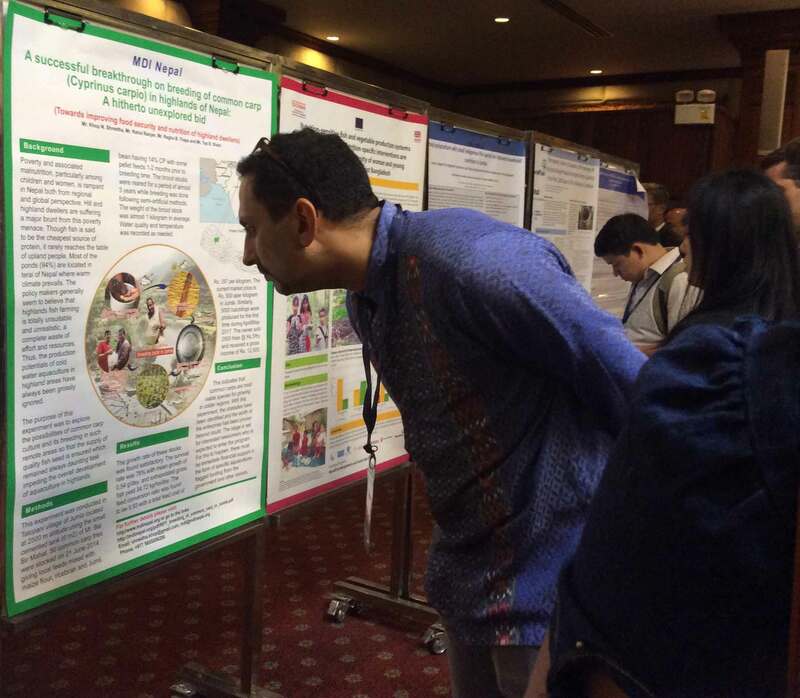 Participants of the workshop observing flyer. 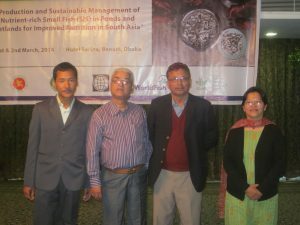 Mr. Khop Narayan Shrestha, Executive Director of MDI Nepal and Mr. Sanu Kanchha Titung, Chairperson of Churiya Agricultural Cooperative Ltd. of Handikhola VDC, Makawanpur & Board of Director/MDI Nepal representing from community attended a 4 days regional meeting on ‘Production & Sustainable Management of Nutrient-rich Small Fish (SIS) in Ponds & Wetlands for Improved Nutrition in South Asia’ held in Dhaka, Bangladesh from March 1-4, 2014 organized by WorldFish Center, Bangladesh. The first 2 days were formal session while the next 2 days were field trips to Rangapur district of north west to observe CARP-SIS polyculture done by farmers. 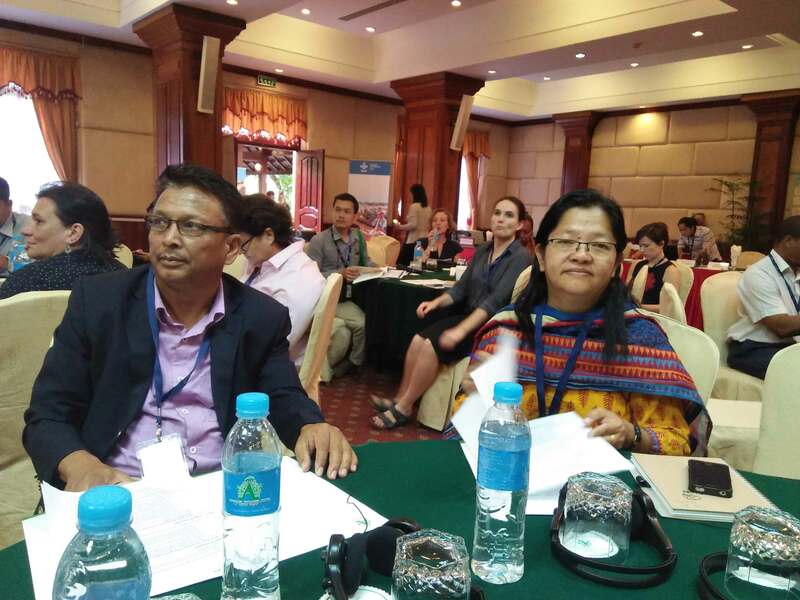 There were around 40 participants coming from Myanmar, Combodia, India, Bangladesh and Nepal. 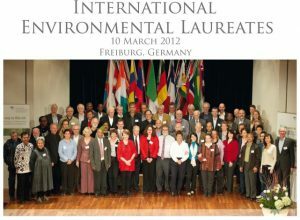 organized by European Environment Foundation in Freiburg Germany from 8-11 March 2012. Altogether 63 laureates from around the world attended the meeting and signed The Declaration on Rio+20. The declaration on Rio+20 adopted by the International Laureates is attached herewith. Mr. Khop Narayan Shrestha, Executive Director and Mr. Navin Subedi, Field Officer of MDI Nepal recently visited Bangladesh from 5-9 July 2012 to observe CARP-SIS Polyculture System in Mymensingh, Bangaldesh on invitation of Bangaldesh Agriculture University (BAU), Mymensingh. The team visited several locations around BAU and observed fish farms mainly of Tilepia/CARP hatcheries, CARP-SIS polyculture systems adopted by local farmers. 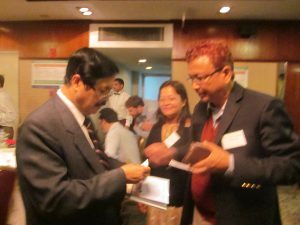 The team was fully supported by Dr. Subrata Mondal in guidance of Prof. Dr. Abdul Wahab of Bangladesh Agriculture University. 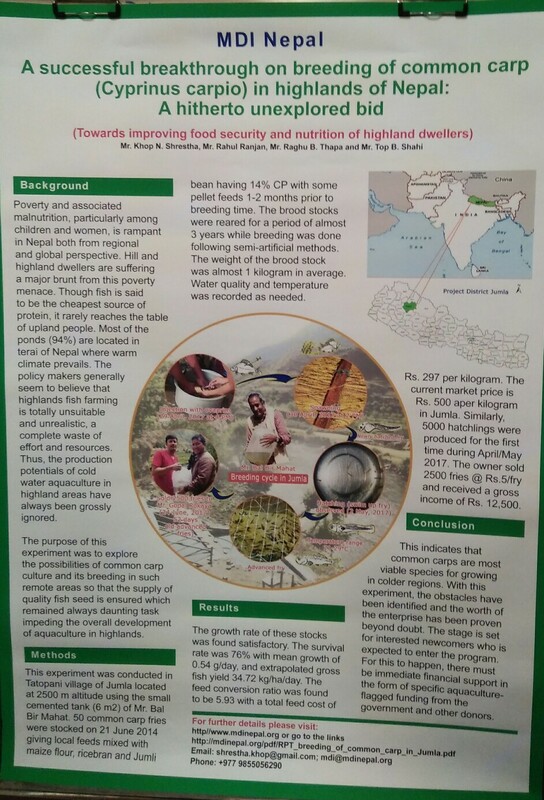 Efforts of MDI-Nepal in Promoting the Carp-SIS polyculture at the Foot Hills of Nepal. Presentation by Khop Shrestha. 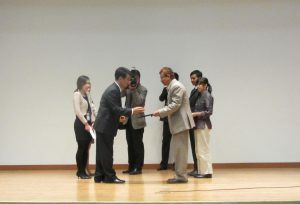 Mr. Roshan Subedi, Agriculture Coordinator and Mr. Khop Narayan Shrestha, Executive Director of MDI Nepal participated in 5th and 4th batch respectively in UNEP EPLC fellowship programme from 8-11 November 2011 organized by UNEP Eco-peace Leadership Center (EPLC) and Kangwon National University of South Korea. 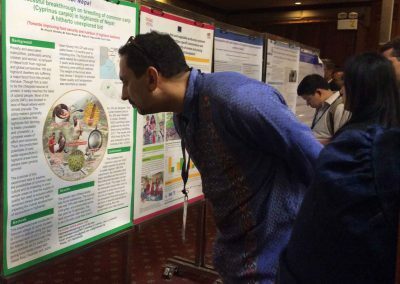 Mr. Shrestha as 4th batch fellowship programme presented the achievement on ‘Conservation Farming in Hill Slopes’ and received the ‘Excellence Award 2011’ while Mr. Subedi presented the scope of ‘Green Manahari Project’ proposed for implementation in 2012. UNEP EPLC awards USD 2,000 for every projects for the leaders who wish to get solutions for the facing environmental problems in the region. 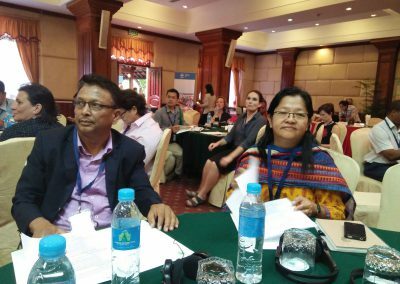 The function was attended by 20 participants from 10 countries of Asia-Pacific regions including India, Indonesia, China, Phillipines, Pakistan, Vietnam, Combodia, Malasia, Mongolia and Nepal. 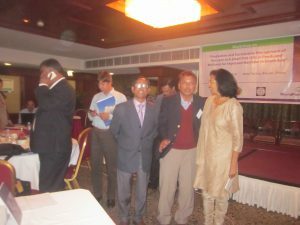 Mr. Top Bahadur Shahi, Program Officer and Mr. Khop Narayan Shrestha, Executive Director from MDI Nepal participated in National Conference on Sustainable Agriculture and Climate Change (4th round Table Meet) at Kolkata from 8-9 April 2011 organized by South Asian Forum for Environment (SAFE), India in collaboration with National Council for Climate Change, Sustainable Development and Public Leadership (NCCSD). 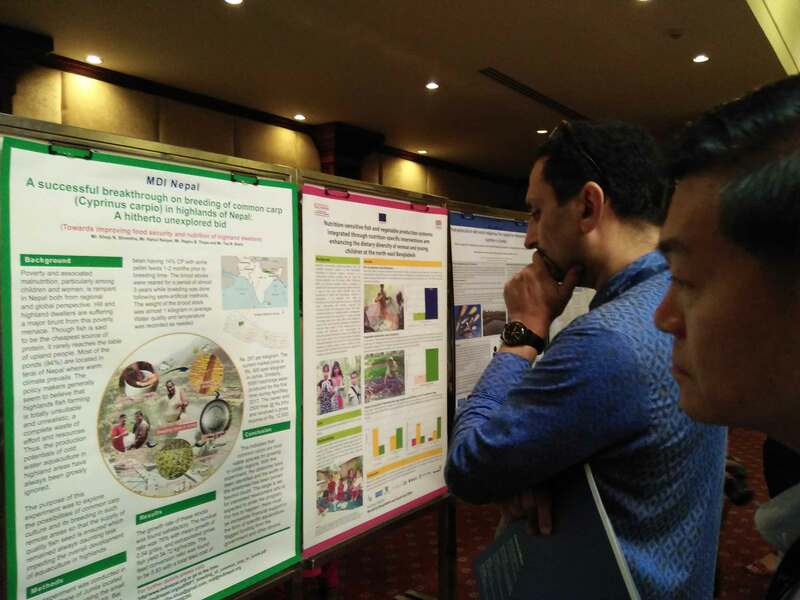 Mr. Shrestha presented the successful case studies adopted through improved forms of agroforestry systems by large number of hill farmers in Makawanpur and other parts of the country.